Drawn and Quarterly 25 Years! Published on 03. 10. 2015 in comics and cartooning, commentary and criticism and hype & linkage. Closed Tags: Drawn and Quarterly, The Comics Journal. 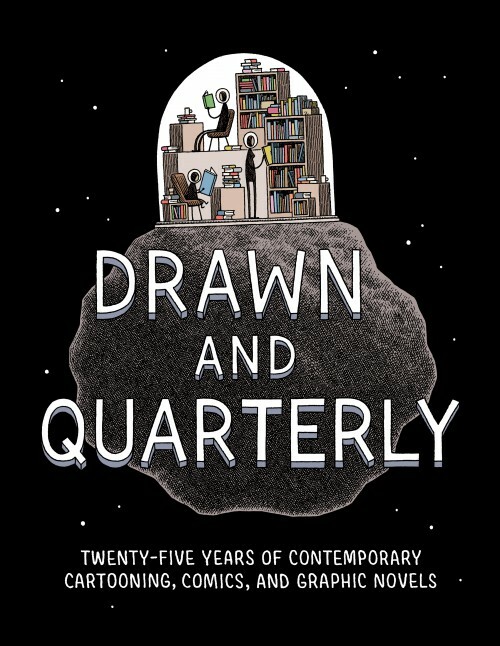 Over at The Comics Journal I’ve just published a review of seminal comics publisher Drawn and Quarterly’s massive 25th-anniversary book, which is actually more of a short essay on the significance and particular qualities of the publisher. Go read it here.